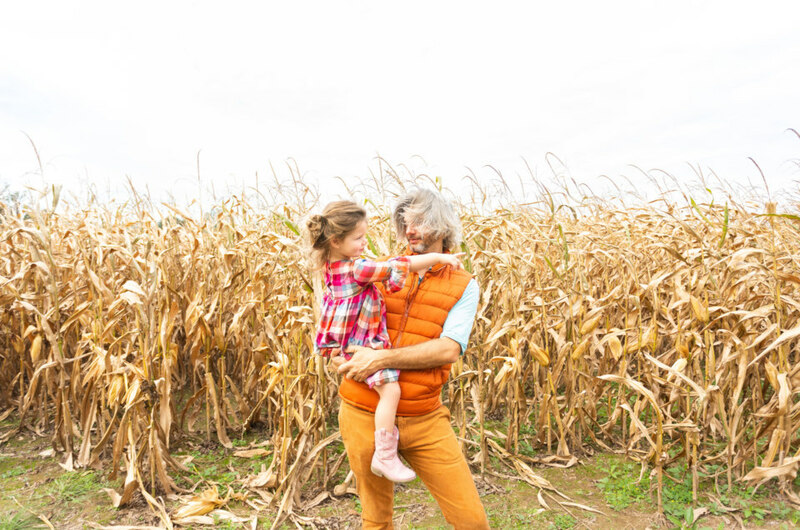 Jade, Bob and Kid Augustine of Vagabond3 are one of the most adventurous families out there. Constantly traveling across the country, the three are eager to experience everything a destination has to offer. When we asked them to check out Baton Rouge this fall, they were ready to explore every nook and cranny they could. 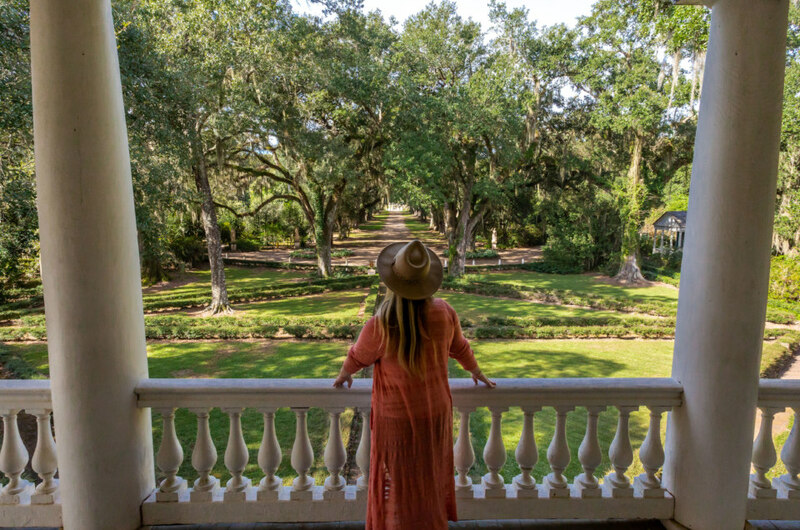 From the large antebellum homes to the wild animal encounters and safaris, here’s why they say Louisiana is truly a bucket list worthy family vacation. Hi Jade, Bob and Augustine! Thanks so much for joining us today! It’s been a little bit since we last spoke. Can you tell us what sort of travel adventures you’ve been up to since we last spoke? Hi! This fall we were all over the US, from Georgia and Florida to San Francisco and St. George, Utah. Everything from surfing in the Atlantic to sipping wine in NorCal, hiking the red mountains of Zion National Park — we’ve been quite busy! You recently got to check out Louisiana’s Plantation Country via the capital city of Baton Rouge. What were your trip expectations before you left? Did you have a list of any “must try” items on your bucket list before you got there? Bob and my experiences of Louisiana were very limited before this trip. 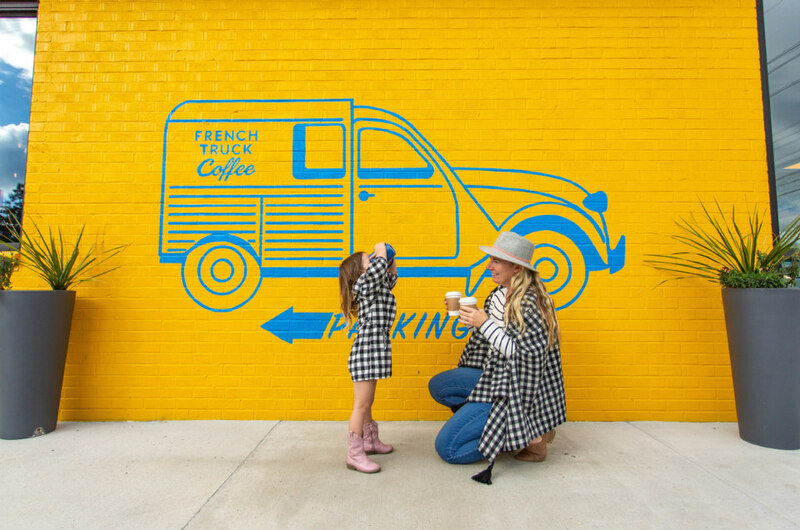 He drove through during a cross-country road trip, and I spent three nights in New Orleans for my bachelorette party, so we were very excited to see a different side of the state and see what adventures we could get into with our toddler. The main items on our must try list were all food related, funny enough. I really wanted to try boudin balls and all the seafood combinations that we just can’t get at home. What were your first impressions once you touched down in Plantation Country? It was so green, even in the fall. The weather was perfect during our visit, not too hot or cold, so it was perfect for walking around the city and plantations. Baton Rouge was a bit more industrial along the river than I anticipated, which was a fun contrast to the plantations and fields and farms we encountered farther outside the city in St. Francisville. You used Baton Rouge as your home base to explore several different cities and towns throughout the state. Can you give us an idea of your itinerary? I loved the food scene in Baton Rouge’s Mid City area — it seems like that area is really the hub for new restaurants and bars. We really enjoyed the variety of food offerings at White Star Market and Elsie’s Pies. The savory pies especially were unreal. We ate way too much but just couldn’t stop ourselves! We spent one day visiting a few plantations in St. Francisville and then moved farther east the next day to explore the Children’s Discovery Center and a bunch of animal encounters at Global Wildlife Center in Folsom. The days on either end of our itinerary were all around activities in Baton Rouge; we easily could have added an extra day or two to see it all. Baton Rouge as a capital city is a bit unique because it has an Old State Capitol Building and the New State Capitol Building. Did you get to visit them? Yes, and both are so unique in their designs. Our hotel was downtown within easy walking distance to both of them, and we could even see the Old State Capitol from our hotel room. 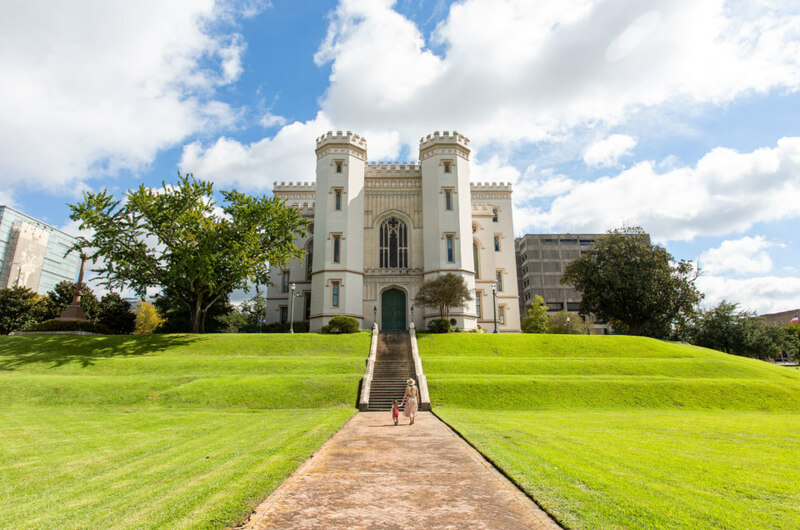 Each night and morning, Augustine would look out the hotel window and tell me stories about the princess and dragon that lived in the “castle” because the Old State Capitol looks like a true fairytale castle — her imagination was running wild. The inside is just as ornate and the stained-glass dome was unlike anything I’d ever seen before. Plantations and history tours aren’t every traveler’s cup of tea. How did you make the plantations and history tours fun learning experiences for Augustine and yourselves? 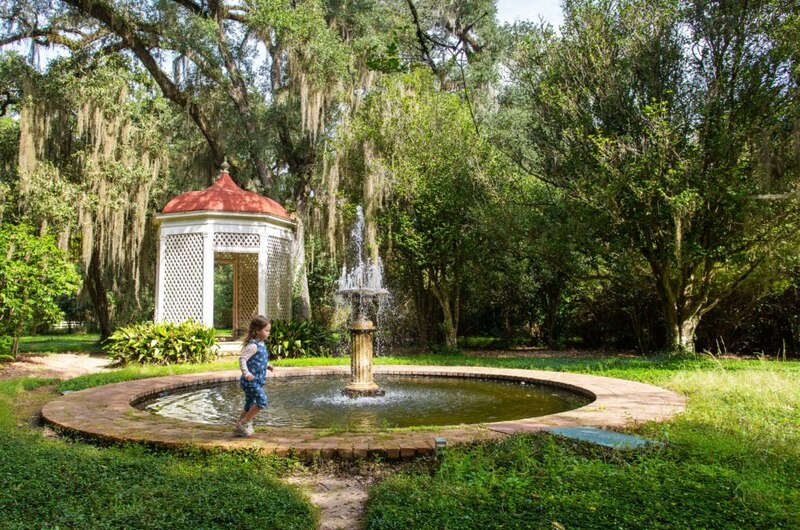 One great thing about visiting plantation homes is that most have beautiful gardens and huge lawns, so if your kids just aren’t into the tour, they can easily go outside and run around. Augustine was surprisingly very into it, and especially loved the detail of the kids’ rooms in each house. The tours were also very detailed but not too long, so they kept everyone’s attention. She’s still a bit too young to fully understand life on a plantation, but we tried to break it down as simply as we could by showing her where the kitchens were and explaining how everyone worked on the plantations and had a job. Rosedown Plantation’s tour included a lot of the backstory about the Exxon oil heir, Catherine Fondren Underwood, that bought the property before the state and spent years rebuilding and restoring it. It was amazing to see the original items that had been left in the houses attic or found on the property — it truly felt like stepping back in time. Myrtles Plantation also went into the history of the plantation but had the added ghost stories. The subtle differences in each tour allowed you to visit multiple houses in one day and not feel like you’ve seen the same thing over and over. As a photographer, what were some of your favorite Instagram-worthy moments from your trip? 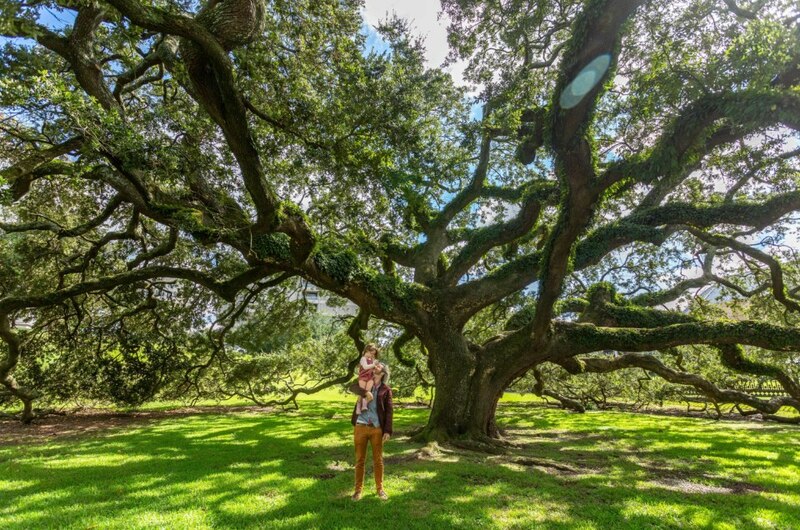 The oak alley at Rosedown Plantation is stunning and could easily fill an entire Instagram feed. The trees near all of the plantations having low hanging Spanish moss, which creates a romantic mood to any of the photos you snap there. We loved the inside and outside of the Old State Capital building. For foodie Instagrammers, the sweet potato beignets at Frank’s Restaurant were a great contrast against the checked table clothed. Equally, the pies at Elise’s Pies made for quite the tablescape and were very tasty! I’d go back to Baton Rouge just to try each and every pie on that menu! The downtown riverfront walk is very pretty at sunrise and sunset, so make sure to get there before the sun fully rises to get the pinkest skies. Aside from plantation tours, you also had quite a few animal encounters! Which was your favorite and why? We had two very different animal encounters during this trip at Global Wildlife Center and Kliebert’s Turtle and Alligator Farm, and they were both incredible for different reasons. One was what I anticipated from a Louisiana swamp tour in the logistics of the tour but in practice was so much more fun than we thought it’d be. From alligators to snakes, turtles and even little goats (yes, this swamp tour had goats! ), Augustine was super into holding all the animals! She loved holding the snakes (way more than I was personally comfortable with, but I tried to just let her be brave and not stand in her way). 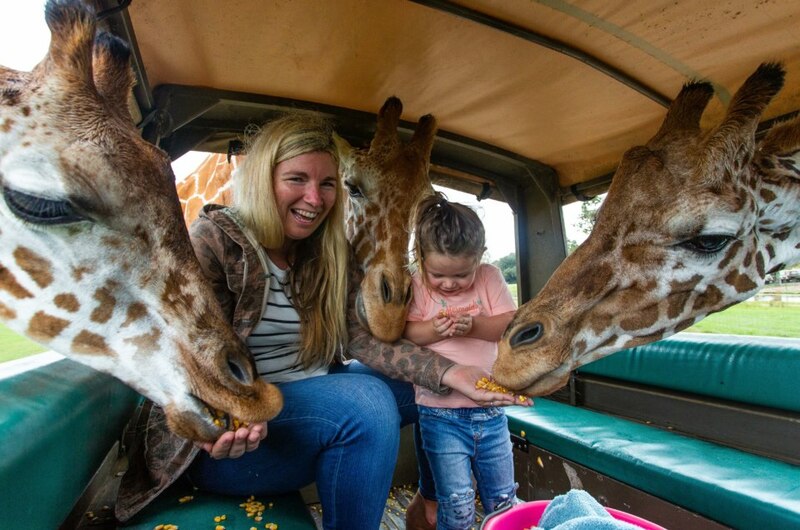 The Global Wildlife Center felt like we had taken a jeep tour right over the Atlantic and into Africa. Two giraffes crossed the road as we were driving in, and it was truly the start of an unbelievable and unforgettable afternoon. Augustine loved all the encounters but I truly believe Bob had the time of his life. He was saying over and over again how this was the best experience of his life! They say Louisiana is for curious travelers. How did Louisiana feed your soul? What were a few of Augustine’s top moments from the trip? The animal encounters and running around the plantation gardens were definitely highlights. She also loved both the Children’s Discovery Center and the Louisiana Art and Science Museum. The LASM has this wonderful playground for toddlers that was both interactive and filled with learning experiences. She could have spent all day there. She also was a brave eater, trying crawfish and boudin balls like a true Louisiana native. Your family can have an equally wild and fun adventure in Louisiana this year. Click here for more information about how Louisiana can feed your soul, then Vagabond3’s website to plan your family getaway.